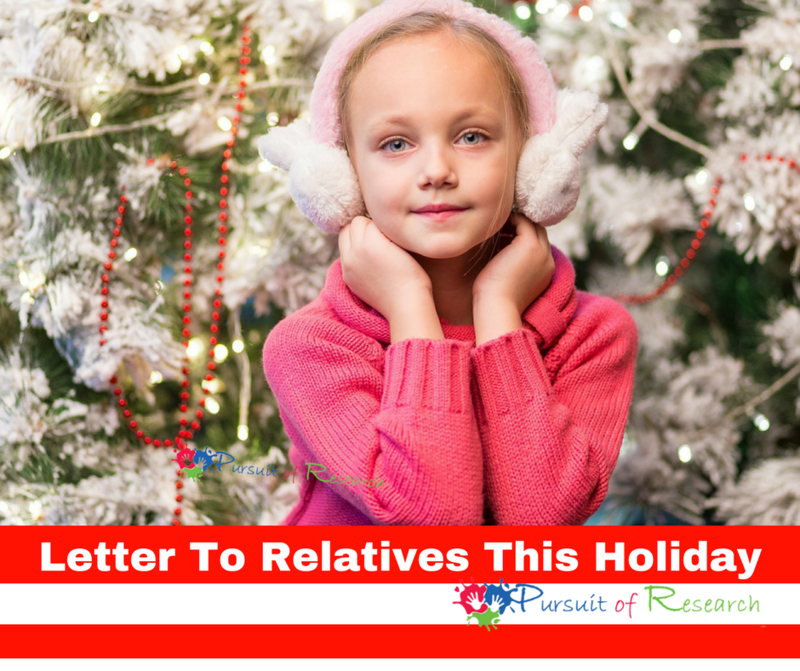 Holidays can be stressful for all when you have children with special needs Even though this letter to family written by author Viki Gayhardt was written for autism, you can modify it for whatever your child’s special needs are including apraxia, ADHD or any other invisible impairment. As you probably know, a hidden disability called autism, or what some people refer to as ASD, challenges me. Autism/ASD is a neurodevelopment disorder, which makes it hard for me to understand the environment around me. I have barriers in my brain that you can’t see, but which make it difficult for me to adapt to my surroundings. Thanksgiving & Christmas is one of the roughest holidays for me. With large crowds and holiday shopping, it can be very overwhelming, even a bit scary. When planning a party remember that with my over sensitive hearing and eyesight, Christmas trees and holiday smells can cause me mild to severe pain or discomfort. If the noises are impossible to control a personal stereo with headphones set to a safe level for children may help drown out background noise and ease my discomfort. Sometimes I may seem rude and abrupt, but it is only that because I have to try so hard to understand people and at the same time, make myself understood. People with autism have different abilities: some may not speak, some write beautiful poetry, others are whizzes in math (Albert Einstein was thought to be autistic), or may have difficulty making friends. We are all different and need various degrees of support. Sometimes when I am touched unexpectedly, it might feel painful and make me want to run away. I get easily frustrated too. Being with lots of other people is like standing next to a moving freight train and trying to decide how and when to jump aboard. I feel frightened and confused a lot of the time. This is why I need to have things the same as much as possible. Once I learn how things happen, I can get by OK. But if something, anything, changes, then I have to relearn the situation all over again! It is very hard. Holidays are exceptionally hard because there are so many different people, places, and things going on that are out of my ordinary realm. This may be fun and adventurous for most people, but for me, it’s very hard work and can be extremely stressful. I often have to get away from all the commotion to calm down. It would be great if you had a private place set up to where I could retreat. If I cannot sit at the meal table, do not think I am misbehaving or that my parents have no control over me. Sitting in one place for even five minutes is often impossible for me. I feel so antsy and overwhelmed by all the smells, sounds, and people–I just have to get up and move about. Please don’t hold up your meal for me–go on without me, and my parents will handle the situation the best way they know how. Eating, in general, is hard for me. If you understand that autism is a sensory processing disorder, it’s no wonder eating is a problem! Think of all the senses involved with eating. Sight, smell, taste, touch, AND all the complicated mechanics that are involved. Chewing and swallowing is something that a lot of people with autism have trouble with. I am not being picky-I literally cannot eat certain foods as my sensory system and/or oral motor coordination is impaired. Don’t be disappointed if Mom hasn’t dressed me in starch and bows. It’s because she knows how much stiff and frilly clothes can drive me buggy! I have to feel comfortable in my clothes or I will just be miserable. When I go to someone else’s house, I may appear bossy and controlling. In a sense, I am being controlling, because that is how I try to fit into the world around me (which is so hard to figure out!) Things have to be done in a way I am familiar with or else I might get confused and frustrated. It doesn’t mean you have to change the way you are doing thingsjust please be patient with me, and understanding of how I have to cope. Mom and Dad have no control over how my autism makes me feel inside. People with autism often have little things that they do to help themselves feel more comfortable. The grown ups call it “self regulation,” or “stimming’. I might rock, hum, flick my fingers, or any number of different things. I am not trying to be disruptive or weird. Again, I am doing what I have to do for my brain to adapt to your world. Sometimes I cannot stop myself from talking, singing, or doing an activity I enjoy. The grown-ups call this “perseverating” which is kind-a-like self-regulation or stimming. I do this only because I have found something to occupy myself that makes me feel comfortable. Perseverative behaviors are good to a certain degree because they help me calm down. Please be respectful to my Mom and Dad if they let me “stim” for a while as they know me best and what helps to calm me. Remember that my Mom and Dad have to watch me much more closely than the average child. This is for my own safety, and preservation of your possessions. It hurts my parents’ feelings to be criticized for being overprotective, or condemned for not watching me close enough. They are human and have been given an assignment intended for saints. My parents are good people and need your support. Lisa Geng got her start as a designer, patented inventor, and creator in the fashion, toy, and film industries, but after the early diagnosis of her young children, he entered the world of nonprofit, pilot studies, and advocacy. As the mother of two “late talkers,” she is the founder and president of the nonprofit CHERAB Foundation,c o-author of the acclaimed book, The Late Talker, (St Martin’s Press 2003), and is instrumental in the development of IQed, a whole food nutrition meal replacement. 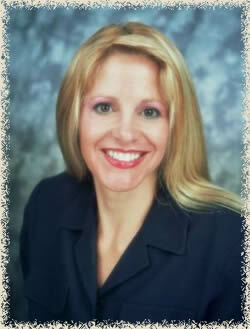 Lisacurrently serves as a parent advocate on an AAN board for vaccines, and is a member of CUE through Cochrane US. Lisa is currently working on a second book, The Late Talker Grows Up and serves as a Late Talkers, Silent Voices executive producer. She lives on the Treasure Coast of Florida.